"Yes, they can also be found over here in Germany! 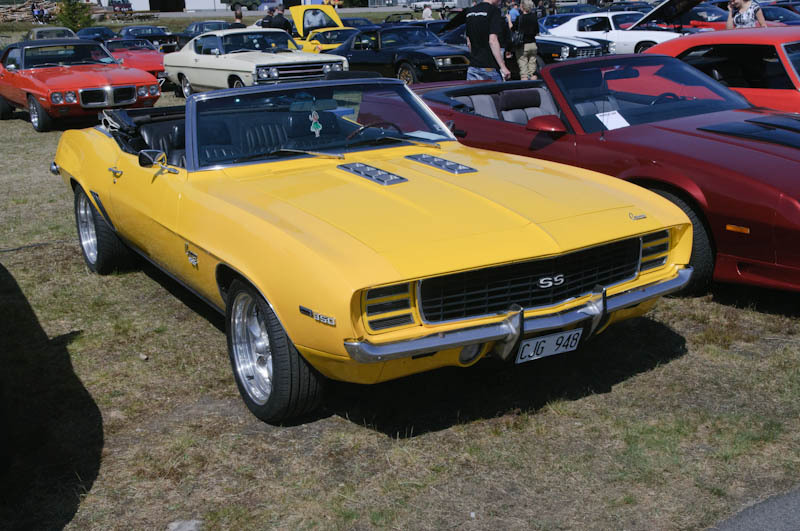 This is an original 69 Camaro SS that was put together in Bienne, Switzerland when new. Original white 350 auto car with black stripes on the side. The pictures show its sad condition. The car was parked 10 years ago. It was a customers car and was just left there in the fields near a barn behind a shop. What I believe to be its original drivetrain is lying in the grass about 10 feet next to the car. I tried to buy the car to save what's left of it but it's the typical story. The mechanic cant find the papers for the car and the original owner of the car never returned to pick it up as you can see. But I'm trying to find a way to save this piece of American Muscle Car History." 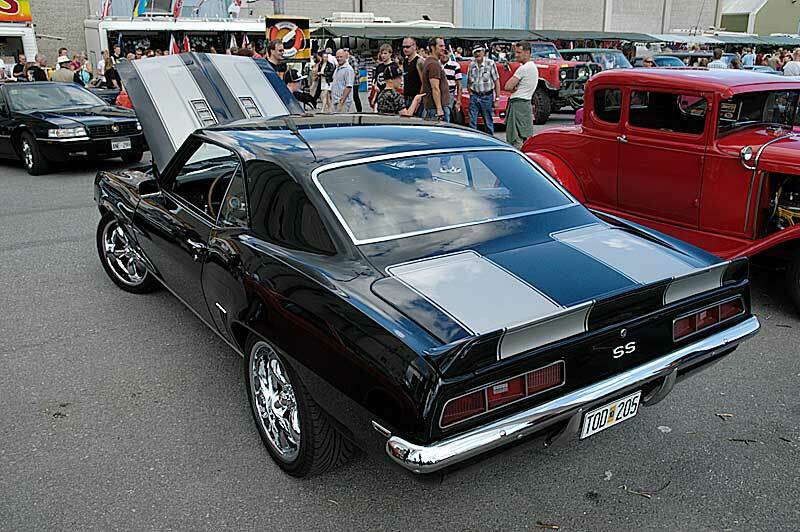 I think that's the first Swiss '69 Camaro I've seen. Too bad it is rotting away like that. I hope somebody saves it. You will see the Swiss trimtag on the right fender, it's that bright thing you'll see in one of the pictures. Those are from a 69 SS350 that ended up here in Sweden. It is restored and painted black. 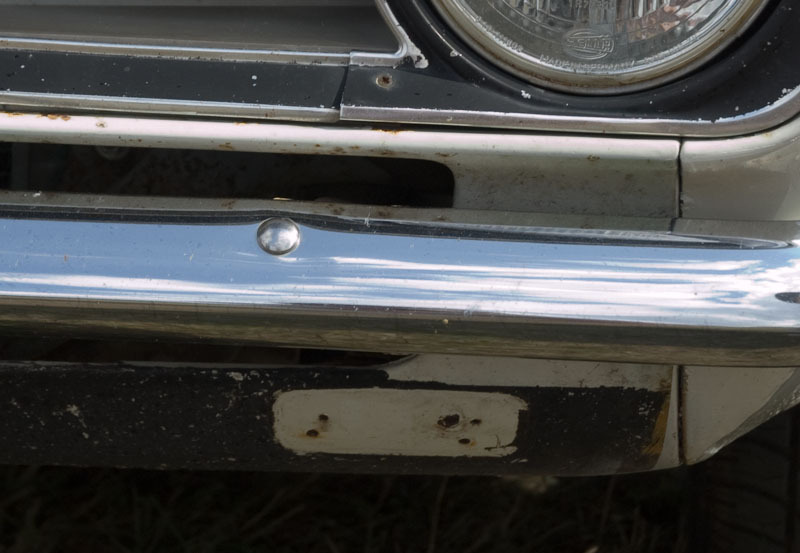 They were not assembled in Switzerland in 69, just prepared for the Swiss market, they had to have other lights mounted under the bumper since the Swiss rules said that the original parkinglights and turnsignals were to far from the corner of the front. Really nice information. Thanks for posting that. It's fun to learn more about the foreign-built Camaros. Do you have any photos showing these additional lights on the car? I'd love to see how and where the lights were installed. Thanks! Yes I have this picture of a '68 that was built in Switzerland, but on this one the lights are removed but you can see how they were mounted. Just right on the lower valance. They used French lamps from Cibie. ... they had to have other lights mounted under the bumper since the Swiss rules said that the original parkinglights and turnsignals were to far from the corner of the front. Same rule in Australia, but I don't think it was applied until 1Jan69 or 1Jan73. Mines a Nov68 build so my 69 is technically exempt, but I disabled the parker function and use them as indicators only. The superior H4 headlamps place parkers in a far better position, and I never liked the oe parkers and headlamps on at the same time anyway. 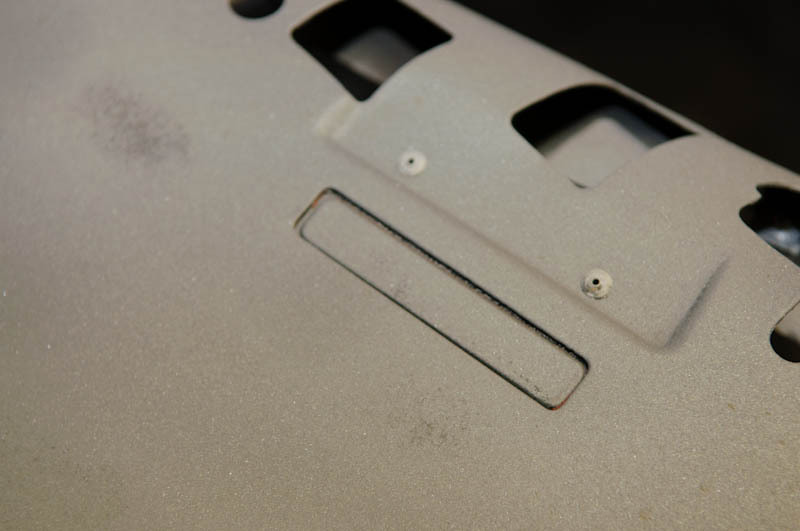 It shows the VIN as "Chassis". 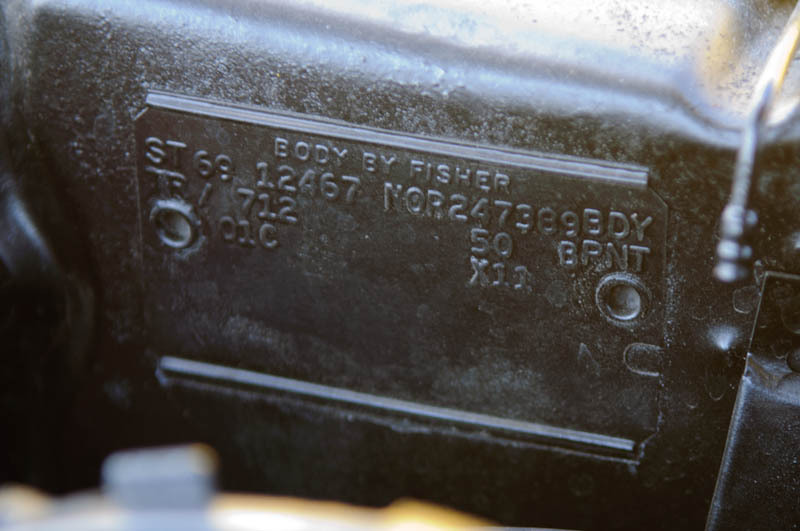 So was it stamped on the subframe? Also, does it have the Swiss VIN in the hidden locations on the cowl and under the heaterbox? 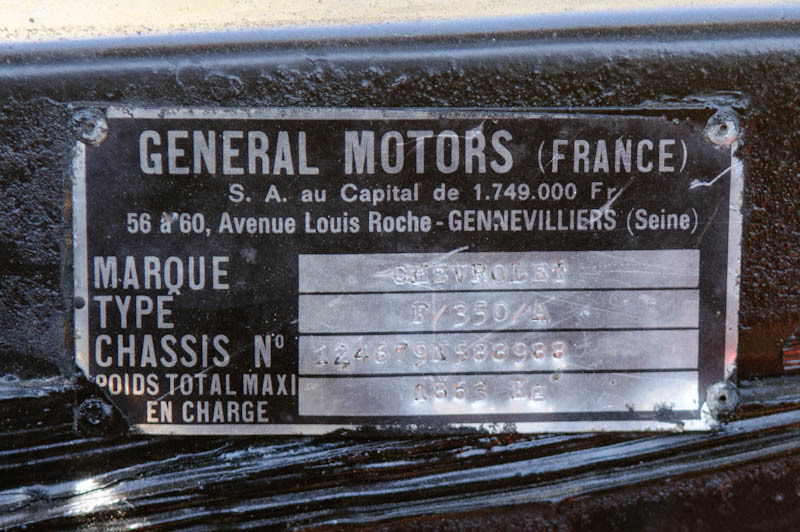 If so, GM must have known the Swiss VIN when the cars were is Norwood and/or Van Nuys in order to stamp them on the production line, right? For the overseas assembly plants when they did send them empty bodies there were no hidden VIN's stamped in the bodies, they were blank. 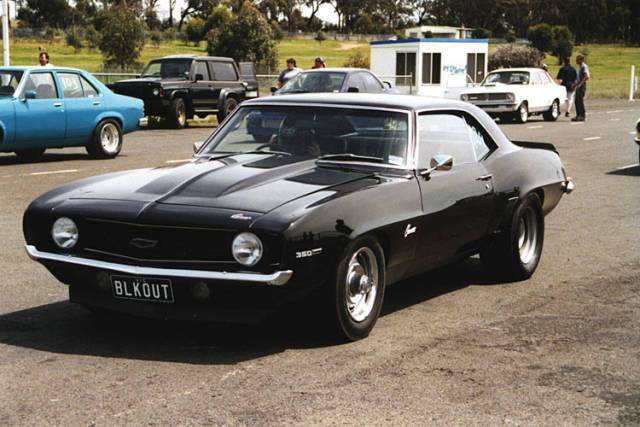 In the European plants they didn't assemble all the Camaros, some special models came from Norwood and they had of course hidden VIN's and American VIN's. The overseas plants had their own VIN-series and also different prefixes. 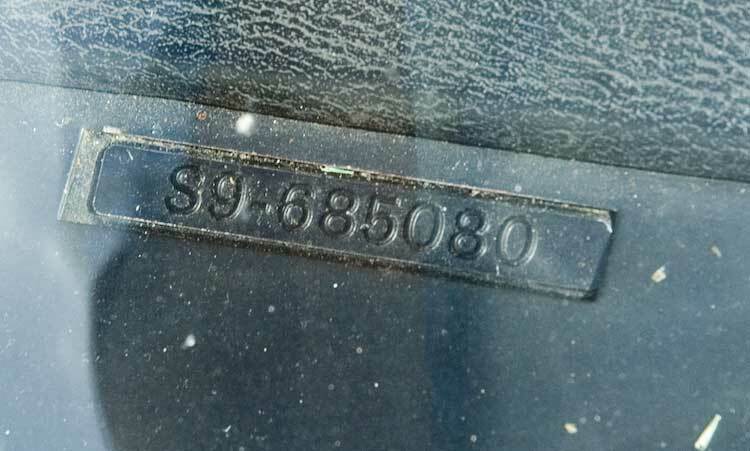 Chassis meant Chassisnumber, that is the term used in Europe for Vehicle Identification Number. It has lived on from the early days of automotive when a car was a chassi and someone else made the bodywork. In some countries it required that the frame got stamped. The '67s were that way where if the headlights were on the parking lights were off, but in '68 is when it changed to the parking lights staying on when the headlights were also turned on. 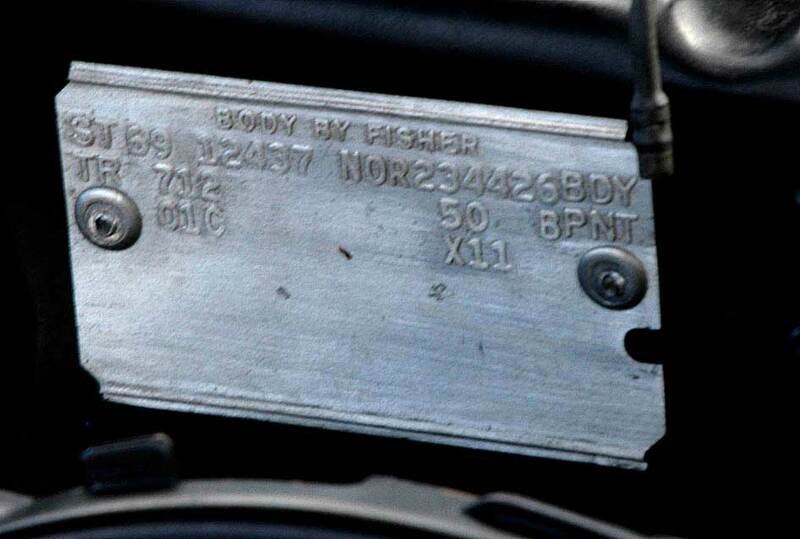 That tag in the pic is a homologation tag when the car was imported. All GM overseas plants built the cars from raw parts, including welding up the body. They never shipped over empty bodies. Its a sad day when jalopnik can call another webservice nerdy.